Great writing, great ‘voice acting’ and great characterization! Such a clever concept as well. Number 5 to listen to now! 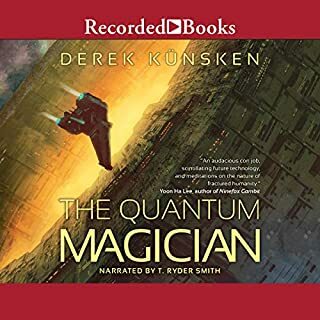 Book 1 was a real find, a great story, short and furious, book two was a small twist but more of the same, book 3 was derivative. 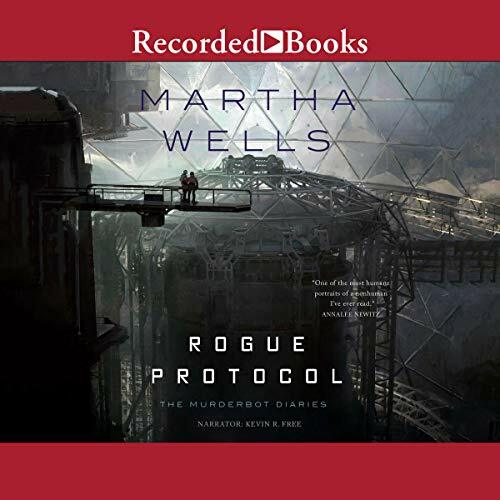 This was another fun instalment of Martha Wells The Murderbot Diaries novella series. 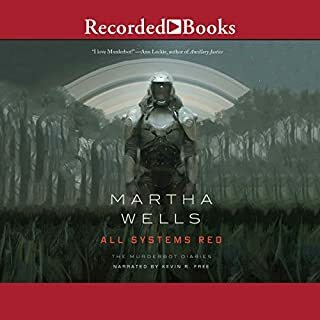 I'm a big fan of Well's capitalist future gone awry sci-fi world and of her memorable and fantastic lead character, the security unit, Murderbot! Our favourite grumpy, socially anxious, security bot is the story's only POV character and that really works as Murderbot is a truly unique character with an engaging voice. Well's gets to inject a ton of humour into the story via Murderbot's wry observations on the things and people it encounters. 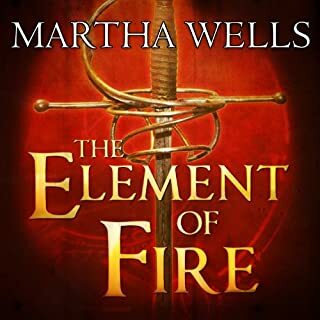 Wells's has an engaging writing style which makes these tiny novellas seem even shorter as I was addicted to this one enough that I finished it in one sitting! 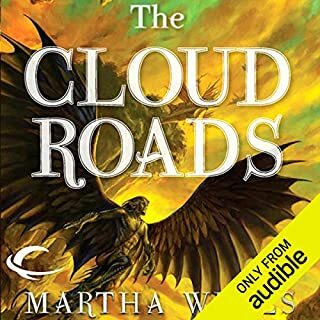 The story in this third instalment just picked up where it left off at the end of the last novella. 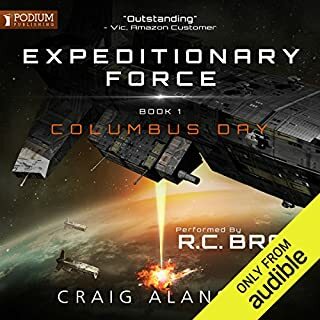 Murderbot was on the go again still seeking information about why people tried to kill its humans in the first novella. This resulted in us getting to meet a new team of humans and two new types of bots! It was not Murderbot's most exciting adventure but it had its moments and was enjoyable enough. I missed ART in this instalment but we got a fantastic replacement in the form of Mickey. Mickey was totally different from Art but just as much a star secondary character. Audio Note: Kevin.R.Free did a decent job with the audio without being anything outstanding. when I'd the next one due? 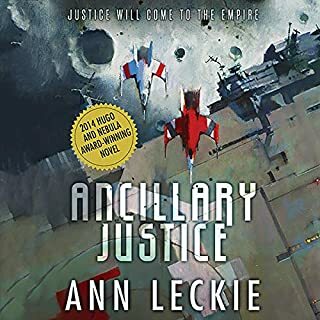 Enjoyed this book and the series. Interesting thinking about the nature of humanity mixed in with good action scenes and wry humour.